Home Lifestyle Stay Healthy & Be Active How to Handle External Factors Affecting your Sleep? You are not getting enough sleep right? You need not to worry. Many sleep depriving factors can be handled if you know them well. Knowing what is causing you a lack of sleep is the first step to sleeping better. Fail to pay attention to your sleep duration, and you could be courting bigger trouble than you know. Sleeping for hours on end is dangerous. Neither is sleeping a few hours a day healthy for the normal functioning of your body. Get to know your sleep patterns and factors affecting it so that you can sleep better. Your sleep could be affected by both internal and external factors. Many go through a period of struggling with sleep without knowing what exactly could be denying them a sound sleep. 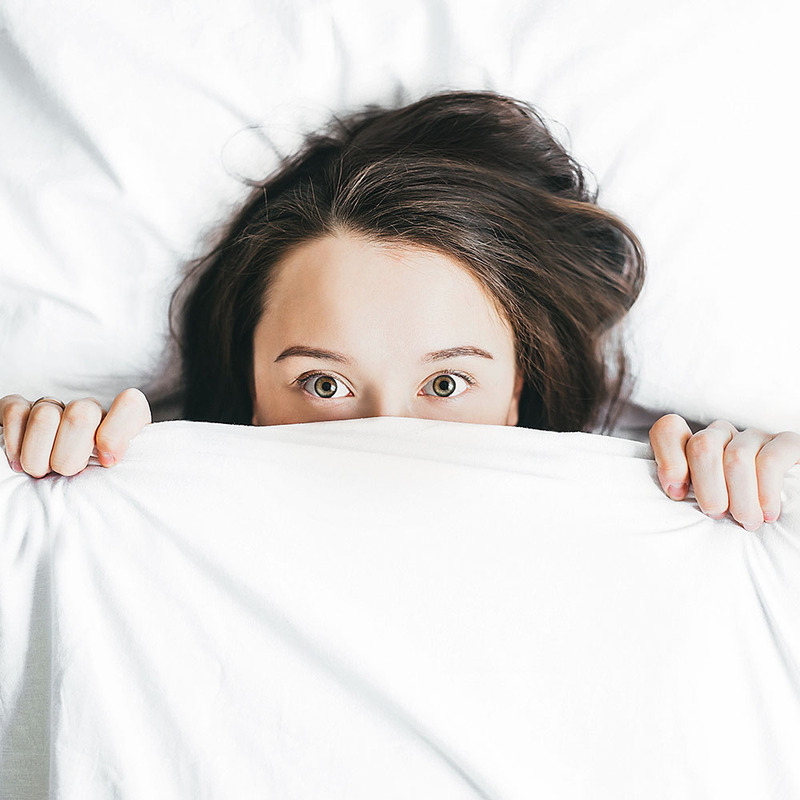 Today, we want to look at the external factors that could be causing you to stay awake at night. Medical conditions could greatly deprive you of sleep. Diseases such as arthritis cause chronic pain that brings a lack of sleep. Premenstrual symptoms and the gastroesophageal reflux disease lead to less sleep too. Diseases or medical conditions make you sleeplessness because of the discomfort they bring about on your body. Your ability to have a deep sleep is affected making you wake up frequently in between your sleep. This reduces your sleep quantity and quality. Chronic diseases also bring stress and depression. A depressed mind can only go as far as getting a light REM stage sleep. Consider using painkillers and anti-depressants to feel better during sleep. In a typical day, your mind and body anticipate a list of events to happen. These events fall within your daily routines such as work, exercise, the people you socialize with and the places you visit. Your mind also has a consistent thought pattern. A tilt or shift on the events you expect to happen makes stress set in. For instance, a sudden event you didn’t anticipate like being summoned by your boss is enough reason to get stressed. This also causes a shift in your thought patterns. Stress is defined as the response your body has towards a change in the “normalcy.” These changes trigger both physical, mental and emotional reactions from your body. Stress at night causes you to lack sleep as it destabilizes your internal mental balance. Reduce stress by having peaceful and calm thoughts during sleep time. Also, avoid lying on your bed when stressed. You don’t want your brain associating sleep with stress. Certain medications are known to have side effects on your sleep. Prescription drugs for diseases such as glaucoma, high blood pressure, congestive heart failure could take a toll on your sleep. During treatment, these medications reduce your amount of REM sleep. Worse yet, these drugs make you feel sleepy during the day. Most of the drugs used are Beta or Alpha blockers. These drug types have a penchant for causing a reduction in sleep. You also want to watch the type of antidepressants to use as some reduce sleep. Anti-depressants from the SSRIs class of drugs are known to reduce sleep. Unfortunately for you, this is one area you cannot avoid or get relief from as medications are paramount to your overall health. You have to sacrifice comfort for better health in the long run. The chemical substances you consume in your food or drink have a profound effect on your sleep patterns. Common stimulants such as caffeine and nicotine deprive sleep. Antihistamines and alcoholic beverages also affect sleep. Our sleep cycle is controlled by the circadian rhythm. During the day, your body stays awake but wants to sleep as dusk approaches. The chemical responsible for this sleep feeling is the adenosine. It accumulates in your brain during the day creating a sleep feeling. Luckily for you, your natural body clock prevents you from wanting to sleep during the day but as dusk approaches, lighting is reduced, and adenosine wins you over. Sleep sets in! Interestingly, caffeine, a widely known stimulant can reverse the effects of adenosine. On the flip side, taking caffeine or alcohol few hours before bedtime deprives you of sleep. The degree of their effects on you also depends on other factors such as the amount and the time you consume them, your ongoing sleep debt and tolerance level. Cut back on stimulant consumption before bedtime. Caffeine stimulates your senses while alcohol increases your metabolism. Key factors in your environment such as noise, light, and temperature cover a great deal in determining your quantity and quality of sleep. These factors have to be at their minimum best conducive for your sleep. Unnecessary noise within your sleep environment makes you fail to transit from light to deep sleep due to frequent interruptions. High or cold temperatures affect your sleep environment negatively. Temperatures below your room temperature are the most ideal for a comfortable sleep environment. New research now says the ideal sleep temperature varies in different individuals. You want to know what works best for you. Extreme lighting in your sleep environment tampers with your circadian rhythm. Lighting is associated with your wake cycle. Having an extreme of it at night means your body gets the wrong signal telling it to stay awake. An added to factor to look into is your choice of a mattress. Check the avocado mattress to know what you are missing on. Control your sleep environment by keeping your bedroom light dim, reducing noises to low levels and knowing the ideal temperatures for your sleep. All said, achieving the right quantity and quality of sleep is not rocket science if you know the right strings to pull. Apart from internal factors negatively affecting your sleep, other external factors such as medications, medical conditions and the foods you eat also play a role in determining your sleep health. Though external, these factors can be controlled to give you quality sleep. Regain control of your sleep life for better health.